#FlatLillian Takes On The World! Everyone is in on Henry Street Settlement’s 125th birthday celebration—including our founder, Lillian Wald! Our doll-sized mascot is showing up in photographs from the Lower East Side to Texas to Belize! 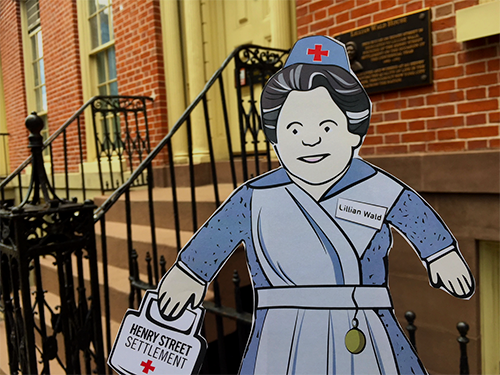 Team members and community ambassadors are making the rounds with Flat Lillian to educate the public about our history and inspire interest in the upcoming House on Henry Street exhibit. Watch for #FlatLillian out and about at Henry Street events, where she is having a flat-out good time! Follow her travels on Facebook, Twitter and Instagram and see a sample of what she’s been up to below. For your own Flat Lillian, contact nfogarty@henrystreet.org. NEW: Flat Lillian hit the small screen! 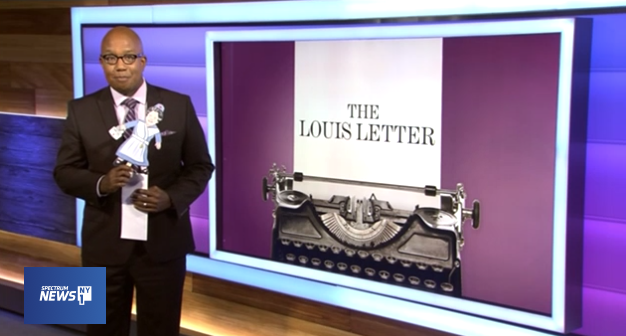 Check out NY1’s The Louis Letter feature here. 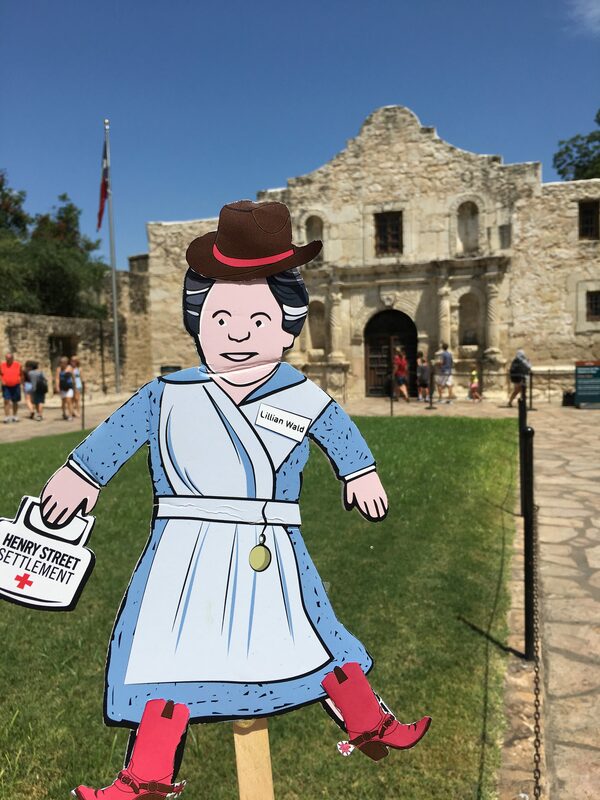 Lillian Wald visits the Alamo in Texas—and gets decked out for it, too! 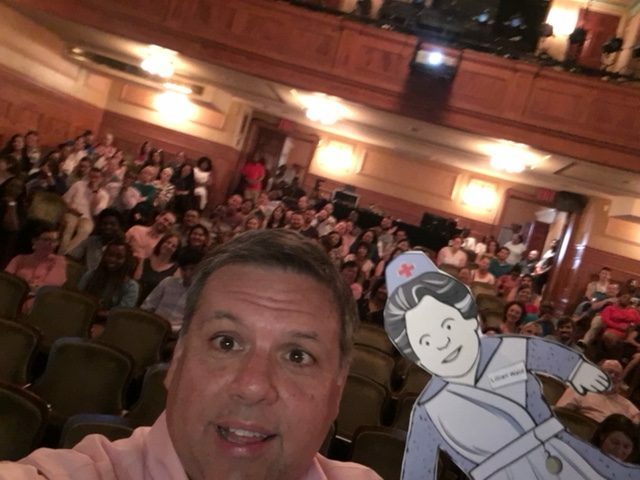 Lillian Wald met with politicians of her day, and so does Flat Lillian! 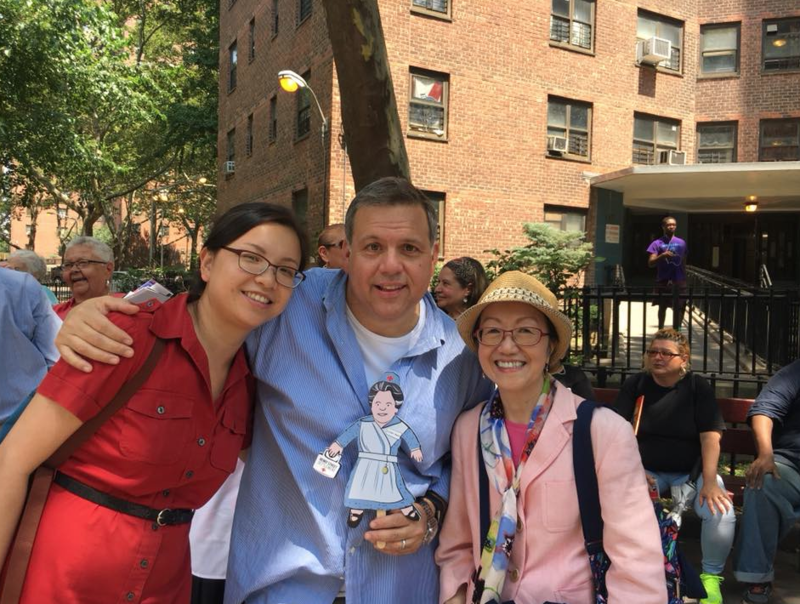 New York City Councilmember Margaret Chin (right) and her chief of staff and district office director Gigi Li flank David Garza and Flat Lillian. 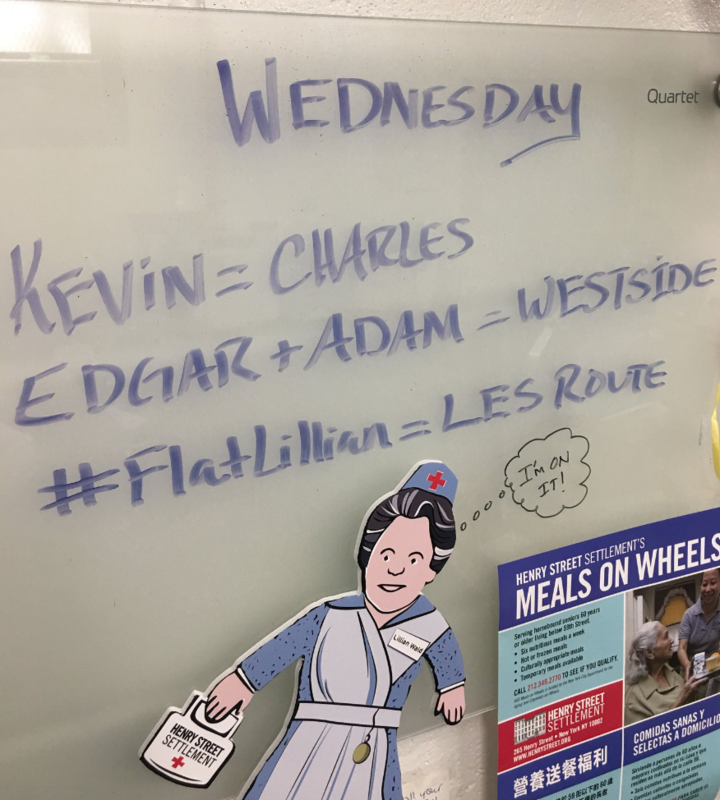 Flat Lillian is ready for duty with Meals on Wheels. 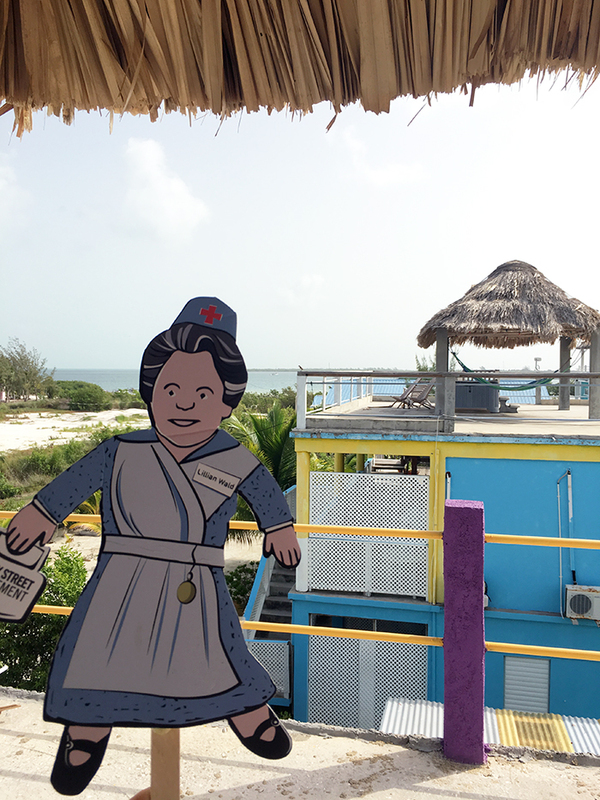 Even Flat Lillian needs a summer vacation! Here she is in Belize.